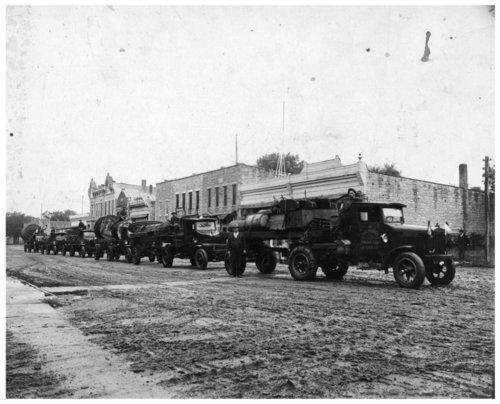 A convoy of six oil drilling equipment trucks pauses for a photograph in Alma, Kansas. The trucks bear the name of Johnson Truck Line, Hutchinson, Kansas. Visible in the background is the west side of the 300 block of Missouri Street.